As many of you may already know, I am anti-Apple! Therefore, I DO NOT like the iPhone, nor do I like its little successor the iPhone 3G. What amazes me is that all my friends are trying to defend it! The Pocket PC has been around forever, though it never had the hype that came with the overmarketed iPhone — the only reason so many know so little about what it can do. But don’t get me wrong — I’m no Microsoft fan, either. Whether it’s Windows or Linux — my own new computer is Ubuntu powered and I am very happy with it so far — I just don’t like being controlled and limited by the lack of options that any Apple product offers. I will explain more about Macs and iPods in a future post. The main reason I dislike iPhones is the presence of little to no flexibility for third-party applications. Yes, there’s the App Store — but why pay for an app on the iPhone 3G that you can get gratis for Windows Mobile? Yes I admit that most pocket PC’s used to be big and bulky and they used to be limited to their processors speed, but that’s all history now. I’ve reviewed a couple of Windows Mobile-based phones, but no gadget from any manufacturer got a dropped-jaw reaction until today, and the device that did it was not Cupertino’s baby but the Touch Diamond from HTC. 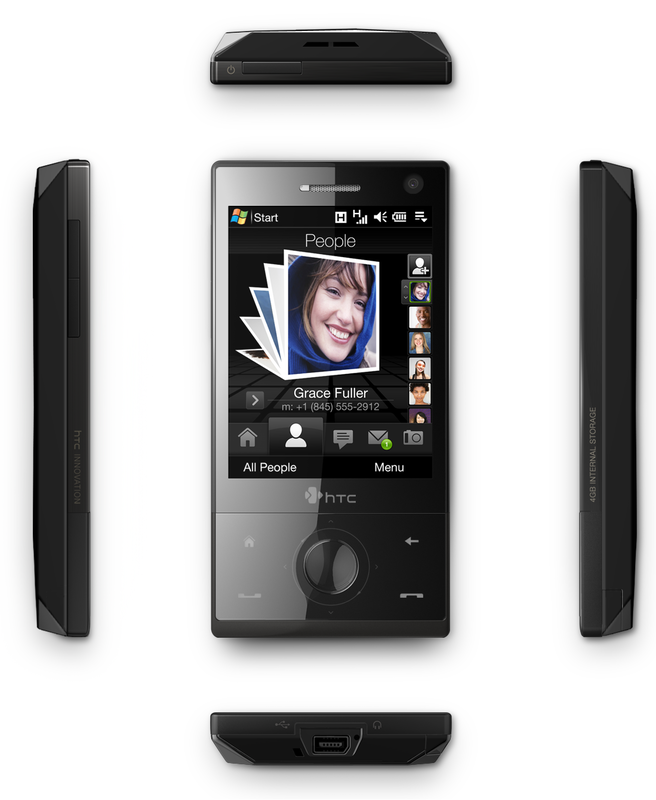 HTC has launched its answer to Apple’s smartphone juggernaut; that answer is the?HTC Touch Diamond. features and functions, go here. Previous PostThis is CRAZY: I think you need help with your blog!Next Post30 Day Challenge starts tonight! …hmm. It is ugly and if any of the winmo predecessors are a clue it will have a horrible clunky interface. There are negatives to every phone including the iPhone but it does one thing well. It is easy to use! I’ve had SEVERAL winmo phones and can’t say that about any of them. I look forward to more iPhone improvements because they will be actual improvements…and why am I going to take the opinion of someone is blatantly anti-iphone? I’ll take my own experience over a blatant hater. fearsome, everyone is entitle to their own opinion, and I never spoke without experience, however I agree that the iPhone is easy and most Apple products are easy (For newbies and amateurs that is), plus I am not a “blatant hater” I am just saying my opinion like everyone else!! Hmm…looks nice. I’m still a fan of Apple products…This will likely make its way to GSM Networks then to CDMA shortly after. This is an advantage over the iPhone 3G since the most popular CDMA networks (Verizon & Sprint) Have much better coverage and, in most cases, faster 3G Networks. The only problem with this phone is that it’ll likely be VERY EXPENSIVE. I’m guessing that it’ll cost around $699 and possible $499 with subsidized new contract price…. Apple’s OS is much nicer looking that WM and now with the App store it will soon become just as powerful, if not more powerful than Windows Mobile as many major companies are intrigued by th new iPhone’s Capabilites. So hey… I have just walking around London and basically because it’s my business I tend to wonder into the mobile shops and start asking questions… so I REALLY wanted to see the HTC touch and one of the shops just got the latest live demo version in. And I have to say… it’s an AWESOME looking phone. BUT when I tried to use the functions it was delayed by 5-10 secs after I pressed the button. I was NOT impressed. Yes it was a pretty interface. But way too slow. So I thought I would go to the Apple store and compare the two (Having just tried the HTC) I was very impressed with the way that it responded and that you can can multiple apps so easily. Looks like a very sleek device. But it looks like HTC is playing catch up to, not rivaling or attacking the iPhone. The Diamond has a better camera, but less storage. Thinner, but slower (EDGE vs. 3G). Apple’s success isn’t in being the best hardware. It’s the best marketing, the best innovation and ease-of-use. I don’t think it’s fair to say that Apple products are easy for “newbies and amateurs”, I have used several flavors of Linux and all flavors of Win and OSX and I wouldn’t consider myself a “newbie” or an “amateur”. I love Apple because their products just work. I don’t have to config and debug and wait ages to get things done. I just got a 3G iPhone and it has it’s quirks. Being used to the BlackBerry there are things about the iPhone that frustrate me, but like fearsome, I am sure that Apple will sort it all out. apple products go beyond just newbies and amateurs…I am far from either and enjoy all my apple products because I don’t have the issues with them that I’ve had with windows based products. (PC’s to Phones). That said as I said before every product has flaws it is simply what flaws are you willing to live with. As to the blatant hater comment. You stated you are anti-Apple. That sentiment alone leads a person to believe that no matter how good a product they might produce you will find fault with it simply out of your anti-whatever stance. I use my iPhone at least 10x more than I used any of my winmo phones because it is so fluid and easy to use…and not because it is so easy a newbie can use it. Even people with experience want simplicity. The easier it is to perform certain task the more productive you can be…iPhone has made mobile computing not only accessible to the newbie or amateurs but to persons experienced in mobile computing that are tired of the same old same old. People can’t seem to accept that the iPhone is a good phone. Yes, it can be better but if it weren’t already a good phone you wouldn’t be seeing these Instincts or the HTC Touch Diamond. It has completely transformed what users of smartphones expect. 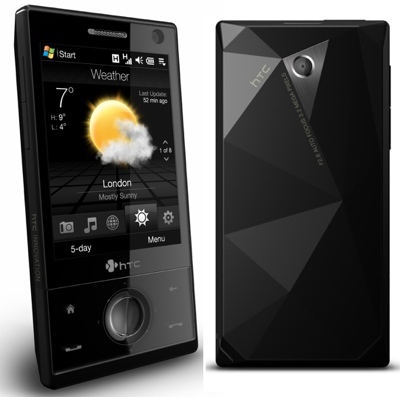 Will the HTC Touch Diamond be a great phone? Maybe. I know I’m willing to play with it and see but I do know it is going to be hard to beat an already seamless experience I get with my iPhone. Especially when it comes to syncing my data with my macs and pcs. Anthony, I like your opinion, and I heard that it might come to Verizon (CDMA) first! Macam, I had the same exact experience but i gave it another shot in a trade show for the Diamond and man was this thing responding real fast. Trey, I heard it will be available in 3G in the U.S. version of it, and when I said “Newbies” I meant it’s easy out of the box experiance for the new users but once you get to used to it you are limited to the options you have (except for graphics work on Mac I have to admit), on the other hand, your options is virtually unlimited with any windows or linux operated system. Fearsome, I apologize if I sent the wrong message, but when I said “anti”, it was just my opinion on the marketing and the hype they always create (like Trey said), and when I said newbies I meant new users, and believe me I know people that never touched a computer before and the buy the iPhone and find it easy to use.